The 6 piece rose brush set comes as a set of 6 face brushes and a matching pouch to keep them safe. The handles of the brushes are shaped like rose stems with slight curves and texture which looks really beautiful and unique, however the handles are quite short which made me think they were broken at first but later I realized they are supposed to be short. 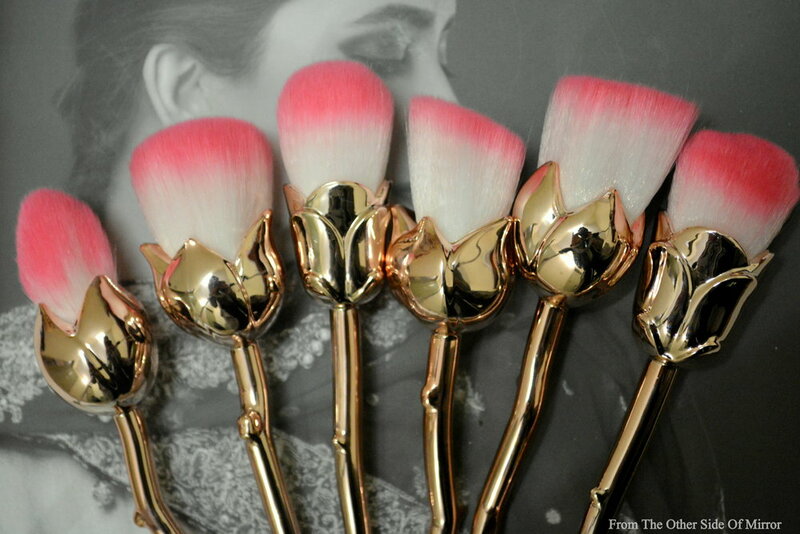 The Rose Brushes come in a variety of shades, I got them in rose gold with pink hair that looks absolutely gorgeous! The moment I saw them in my hand, I knew I would be holding them dear for a very very long time. The brush hair are synthetic and to be honest quite plastic like but man I haven't touched anything as soft as them! They are so soft that I just can't keep myself from touching them all the time and just touch them to my even without any product on just to feel them (I know pretty wierd, but that's how it is). Coming to their performance, which is the actual thing and sadly, that's where they lack terribly. The bristles are so soft and so loosely packed in some of the brushes that they hardly pick any product especially powders. The tapered brush is the only one that is packed enough to pick up some product from the pan and then translate it on the skin decently enough. Since they are super soft, they are really good at dusting loose powder all over the face and I absolutely love using the flat top brush for this. All in all, its a beautiful brush set to have in your collection. It looks gorgeous, the finish of the handles is beautiful and it just brightens up the whole vanity in an instant. On the other hand, performance wise these are not something I like to use on daily basis. So,if you are looking for performance on a budget you can pass these easily, but if you are a sucker for cute and pretty things just to add a spark to your vanity, you should get them ASAP! The 6 piece Rose Brush set retails for $16.41 at Gamiss.com. They ship worldwide with FREE SHIPPING!!! and the payment can be made through Visa/debit card easily. Use my code GamissXie10 at checkout to save yourself some more money!! 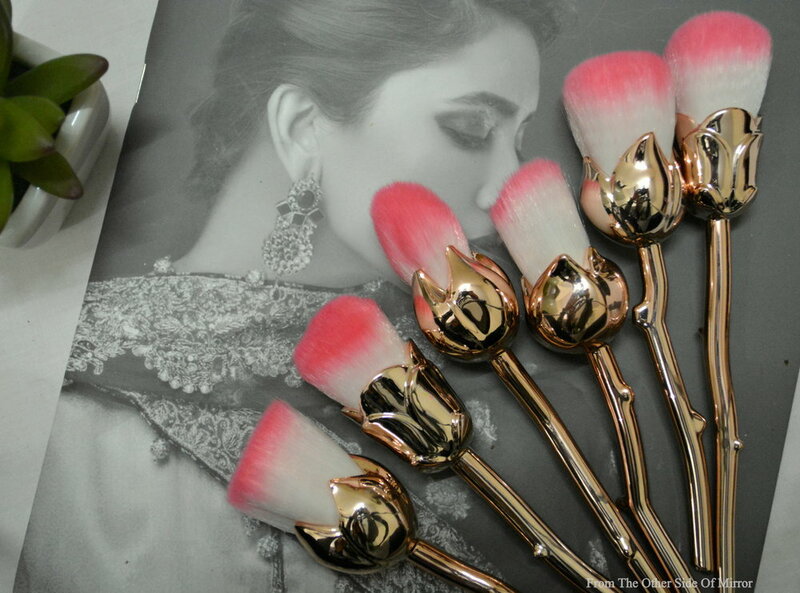 Mar 13 10 Pc Goat hair Brush set - Yay or Nay ?